If you’re a Dodger fan, you’ve probably haven’t been this happy in a very loong time. 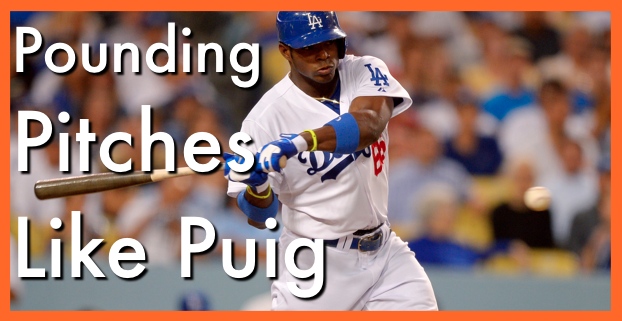 …so what I wanted to do was discuss a few key things about Yasiel Puig’s swing that deals mainly with his stride as well as what he does with his hands. He’s a pure hitter who has effective mechanics that translates to game-speed flawlessly. I’d love to hear from you to see what you like most about Yasiel Puig’s swing. Or maybe it’s his follow through? Let me know what it is in the comment section below this video. What did ya think of the Yasiel Puig swing analysis? What was your biggest take away? Let me know your thoughts in the comment box below as well as who’s swing you’d like to see in the next AoB swing analysis video.